When Le Roux was in Grade R he was diagnosed with ADHD. After much contemplation we decided to put him on a schedule 4 medication. We accepted that school might be tough for him, given that he has ADHD and that he might find learning a bit more difficult than other kids. However, it was more than that. In Grade 2 he was diagnosed with dyslexia – a devastating blow. It clearly impacted his self-confidence and caused a lot of anxiety for us as parents, because we just did not know how to help him. We had him tested to make sure we were not missing anything. His hearing was normal. The EEG was normal. We did a Colorimetry Test and bought special glasses with coloured lenses, which did help the letters to stand still; however, he still needed to know the letters he was looking at. There were reading centres and special computer programs. You name it, we tried it. Ultimately, we were met with a lot of shrugged shoulders and shaking heads. No light bulb moment or magic cure that would help my son reach his full potential! I felt deflated as I could see him falling further and further behind on his reading and spelling. Le Roux is one of those kids who does not understand what it means to be shy. Whatever the heart is full off, comes out of his mouth, with no filter. He is vibrant, funny and adventurous. He makes friends within minutes of meeting people. He is creative and embraced the fact that he has ADHD. He accepted that he needed medication for school, but fully enjoyed being his rambunctious self over weekends. There is a positive side to ADHD. He will always be the one thinking outside the box and his level of creativity is off the charts. He could, however, not understand why reading and spelling was so incredibly hard for him. It was heart-breaking to see this boy become a shy, unsure child when it came to schoolwork. 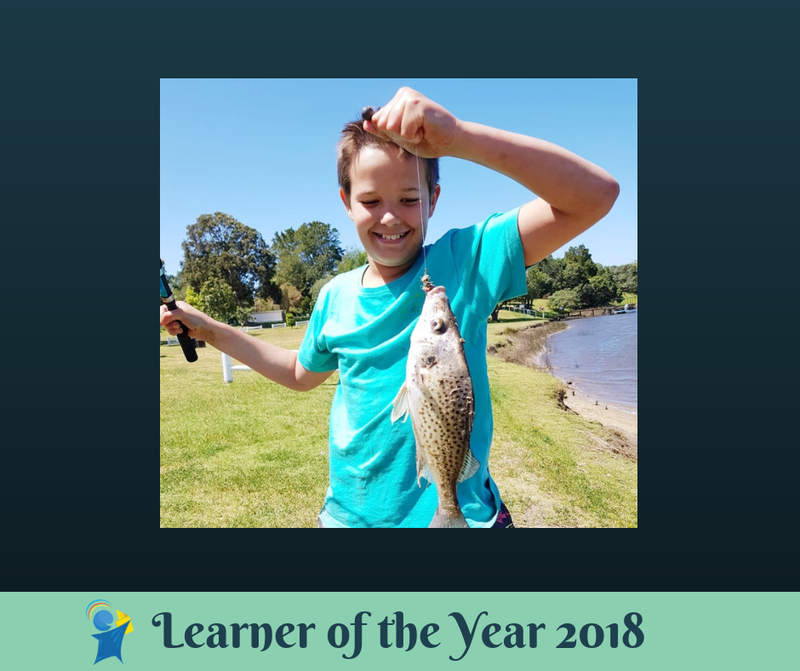 At the time, at that age, he still had to get up in class on a daily basis and read out loud in front of everyone or have classmates mark his spelling tests. It was rough. One evening, whilst sitting in front of my laptop, with my fingers on the keys, I was wishing to come up with the right question I could Google that would give me the answer I had long been looking for: How can I help my son? I asked what will happen to someone who has dyslexia? I wanted to know where he would fit into society. I wanted to understand how I could help him now to prepare him for one day. The first search that popped up was Edublox. I started reading the testimonials and felt like I was reading our own story. I was even more hopeful when I saw there was an Edublox a couple of blocks from my office. At the time, I was working in George and living in Mossel Bay. To be honest, my husband was not at all on board with trying out yet another ‘gimmick’ that costs a lot of money. What will make this any different? Le Roux would be put through yet another process, but we always ended up right where we had started. 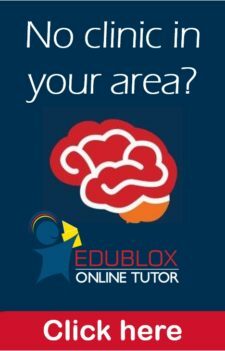 I made an appointment with Karen at Edublox George in February 2017. 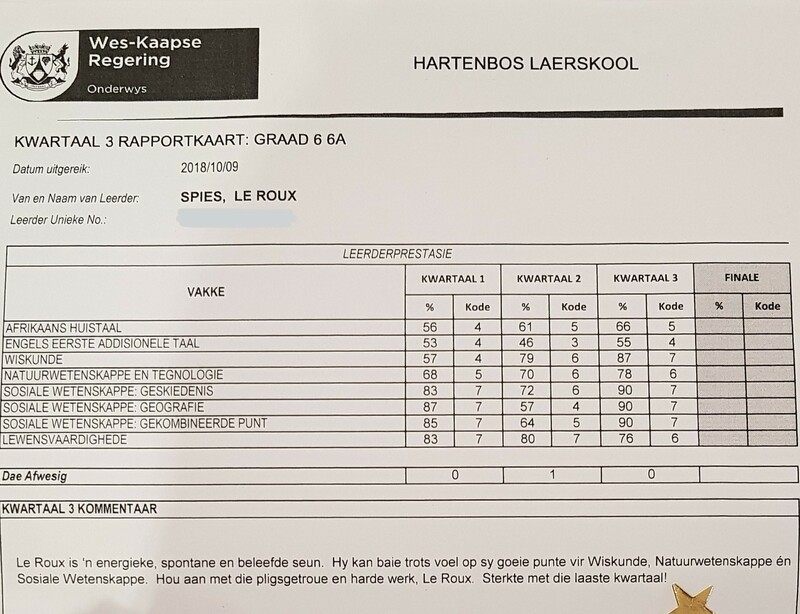 Le Roux has just started Grade 5. When I came in for the feedback after the evaluation, nothing Karen told me was new and before I knew it, I had lost my composure and started to cry. She asked me why I was crying. I said because I was hoping for something new, something that no one else noticed and that maybe that was the magic ‘on’ button we needed to find. Karen then told me that she was not yet finished with her feedback; I have not given her a chance to tell me that she could help him, that we could do something about this. That we could get Le Roux to read and spell. That with a lot of hard work, patience and time, it would happen. Since then the journey has been incredible. We have to travel 44 km both ways to be at the classes, but it is worth it. Le Roux has shown great improvement and has grown tremendously in confidence when it comes to reading. 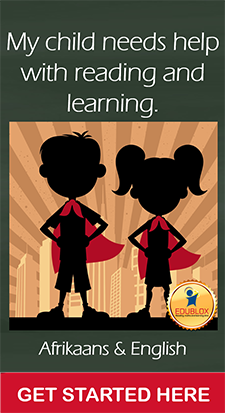 It was also important for him to meet kids with similar learning difficulties, to make him understand that he is not the only one and that he is normal, just like the oher kids he met at Edublox. When we started the programme, Le Roux was barely reading at Grade 3 level. At the beginning of 2018, he was reading at Grade 5 level. His reading has improved tremendously and almost seemed fluent compared to the spitting and stuttering we were used to. Before he needed to spell out each word, with spelling that was mostly incorrect, and by the time we finished a sentence, neither one of us could remember what the sentence was about. Comprehension tests, composition, etc. were pure torture. Although he attends Afrikaans classes, his English has also enjoyed improvement. Before, he could not read English at all! It was a complete foreign language to him – I had to tell him each word. Practising and practising the same piece would not bring improvement either. I remember one evening, close to the end of last year, when he had to practise prepared reading for English. I asked him to sit and read to his dad. When he started to read, reading it for the first time, and it was going off with almost no hitches, my husband’s face just lit up. He looked at me in amazement. It was a moment I will never forget, because that was the moment we both acknowledged that this programme is different. It works! Spelling has also improved. Before we could practise the same simple 20 words over and over, yet, he would still get no more than 4 correct out of a possible 20. Now, with enough practice, he can get up to 15 difficult words correct out of a possible 25. Another area where we have experienced a vast improvement was mathematics. Early this year I met with his maths teacher to discuss his marks. I found that he did not need help with maths homework; he knew his work very well and was really enjoying his new teacher. He had the confidence to ask if he did not understand, as before he would be dubbed the ADHD kid who does not pay attention. All of a sudden maths was no longer complicated. However, he did not do well in tests and scored in the 50% range. I explained to her that the ADHD and dyslexia made it difficult for him to switch between the different types of maths problems, that he would get lost in the reading if he did not have context, whilst in class he always knew what type of maths problem he was dealing with. In a test paper, they would switch between types of maths problems and that confused him. She made a note of that and decided to place a heading above each section in the exam paper, thus providing context, which helped him to shift gears and focus on that specific type of problem. It made a huge difference! 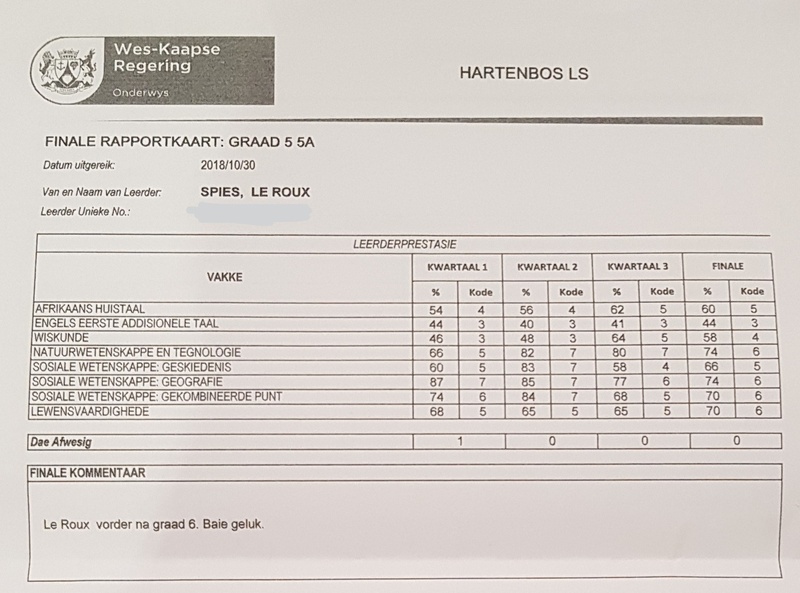 Le Roux’s maths marks went up by 30% from the first quarter to the third quarter of this year. Spelling still remains an area where Le Roux needs more improvement. In spite of being a very colourful storyteller, he will simplify the story as far as possible in order to simplify the words in order to make writing the story easier. He still sometimes loses context when reading exam questions, when the question is asked in a tricky way. He will either not understand the question, or he’ll miss the hidden meaning. If you read it to him out load, he will know the answer immediately. English remains a problem when it comes to spelling, grammar, etc. I realise we will only be able to tackle this once Afrikaans is on par, but in the meantime he requires a lot of help with English homework.